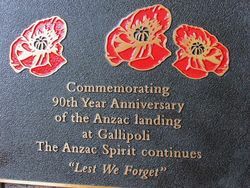 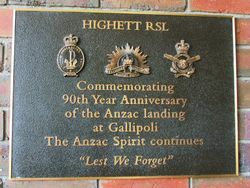 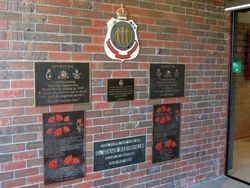 Two plaques commemorate the 90th anniversary of the landing at Gallipoli. 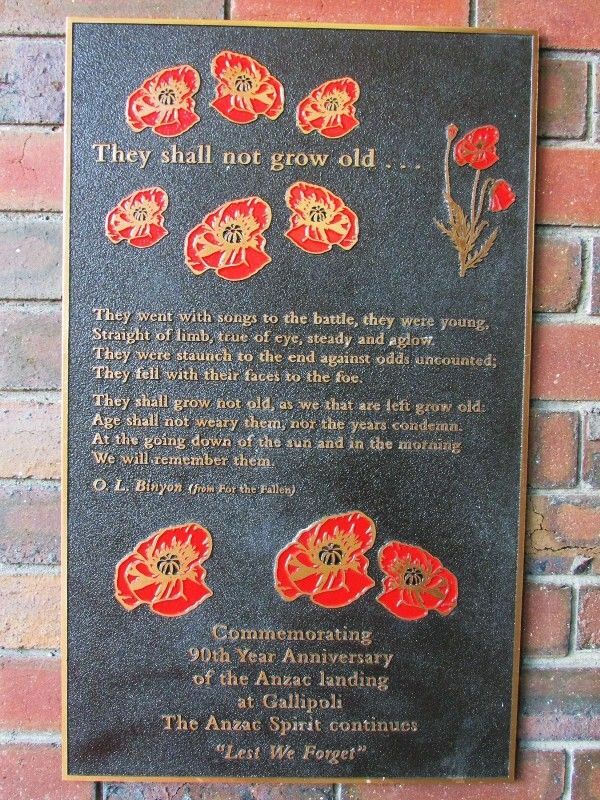 The second plaque contains verses from Laurence Binyon`s poem For the Fallen which is also known as "The Ode." 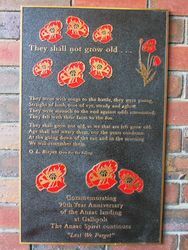 " Lest We Forget "
They shall not grow old . . .